The Sotheby’s Contemporary Evening Sale wrapped this evening, with a number of impressive sales that did little to match the fireworks of Christie’s record-setting outing last night, but still managed to bring forth a number of impressive and noteworthy sales, as well as several new world records for artists at auction. 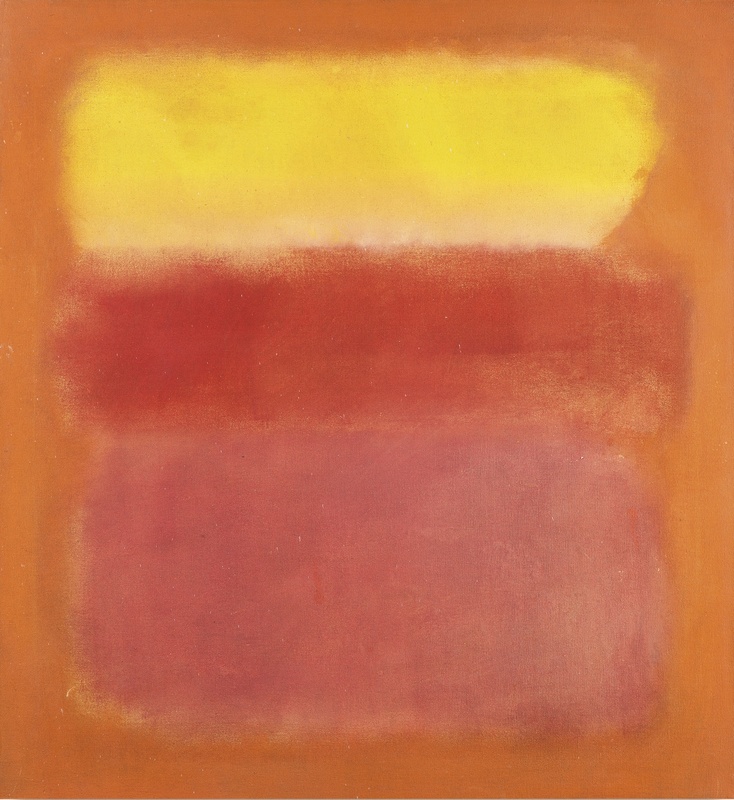 The auction capped a final sales tally of $364,379,000 over 81 lots, with 12 of those works remaining unsold. The auction began with some fervent buying, with a number of world records being set in the early lots. Mike Kelley’s Ah…Youth was one such work, running the price up quickly to sell for a new record of $1,925,000. 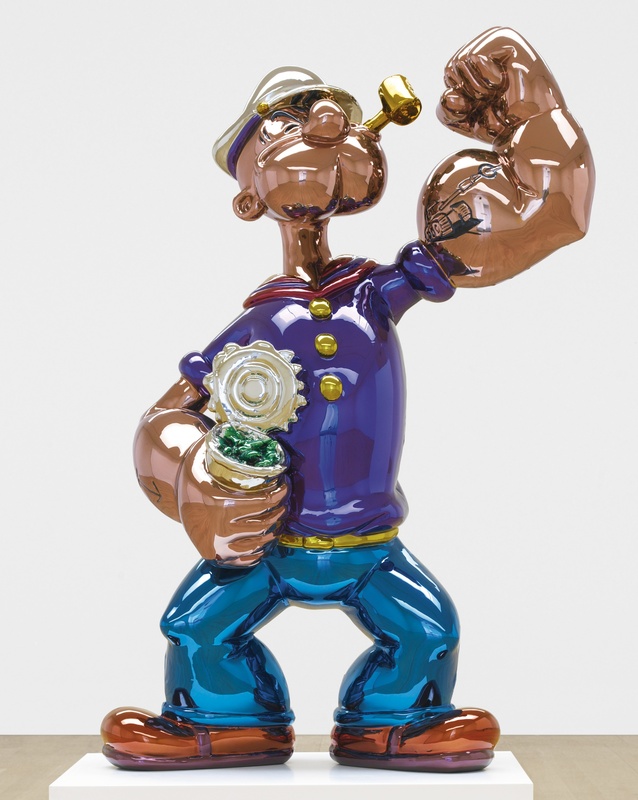 Rosemarie Trockel also set a new world record, as her knit wool piece commanded a final price of $4,981,000, as did Sarah Lucas, whose knit bunnies lived up to expectations, and sold for $905,000. 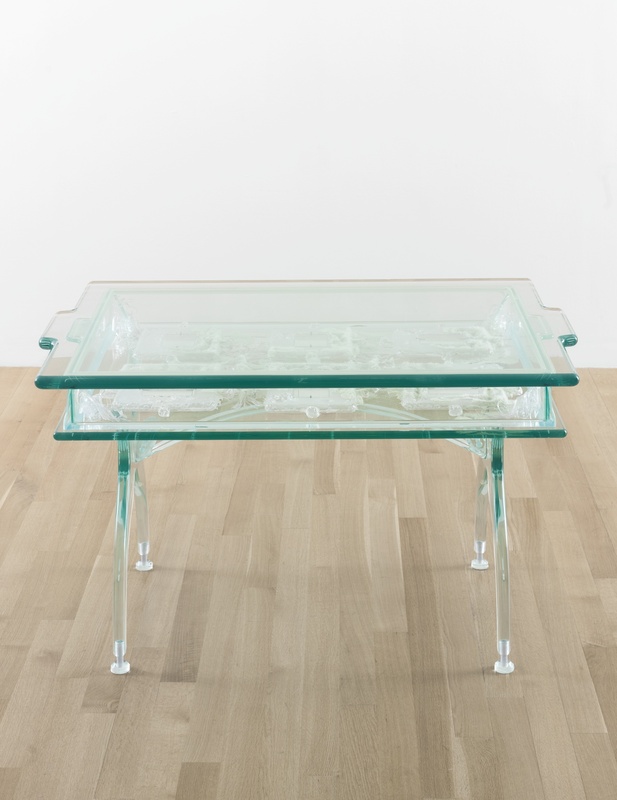 Matthew Barney also set a new record, selling a Drawing Restraint piece for $1,205,000, along with Wade Guyton, who sold an untitled work for $5,989,000. 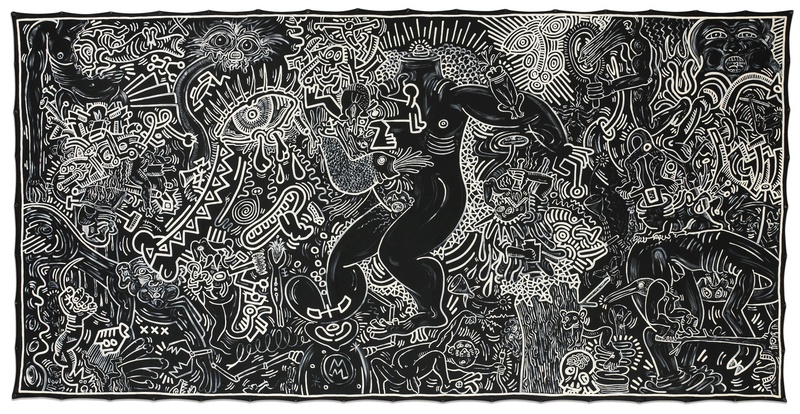 Of particular note was the sale of a Keith Haring painting, which set a new record of $4,869,000 for the artist, and followed it up quickly after with another sale that nearly unseated the new record before selling at $4,589,000. After the initial rush, buying seemed to settle into a staid, albeit quick flow. Minimal bidding marked the highest sales of the night, and the highest sales failed to reach far beyond their initial estimates. The Jeff Koons cover lot, Popeye, jumped off to a strong start, but quickly stalled, settling for a respectable $28,165,000, going to longtime Koons collector Steve Wynn, who plans to display the work in Las Vegas. It was a similar case with Andy Warhol’s Six Self-Portraits, which took in several offers before reaching a final price of $30,125,000. 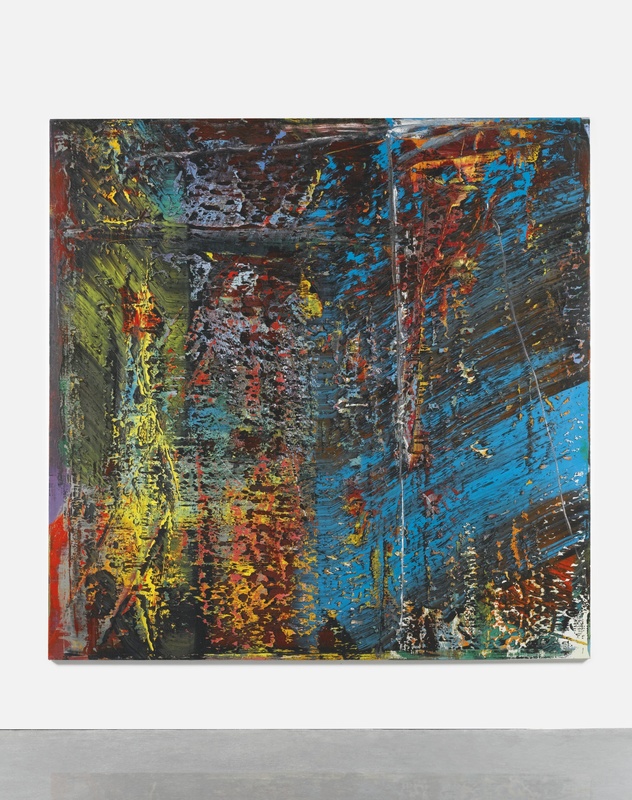 Also achieving estimate were Gerhard Richter’s Blau (final price: $28,725,000), a sponge piece by Yves Klein (final price: $16,965,000) and a piece by Jean-Michel Basquiat (final price: $23,685,000). Collector Adam Sender might be particularly happy with the results. Sender was the owner of 19 lots at the auction tonight, and his works achieved some of the highest sales of the night, bringing in a tally of $44.6 million over a previous $21.1 million to $29.9 million estimate. It was perhaps not the night for works by Willem de Kooning, however. The ab-ex pioneer failed to connect on a number of his works on sale, including a highly valued untitled work that ranked among the highest estimates on sale. On another classic piece, Montauk III, the bidding stalled after only a few offers, and the work ended up selling just below the pre-sale estimate for $10,245,000. 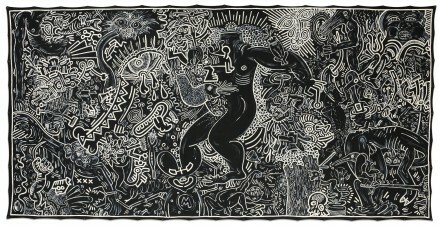 The week of auction sales will conclude Thursday night at Phillips. 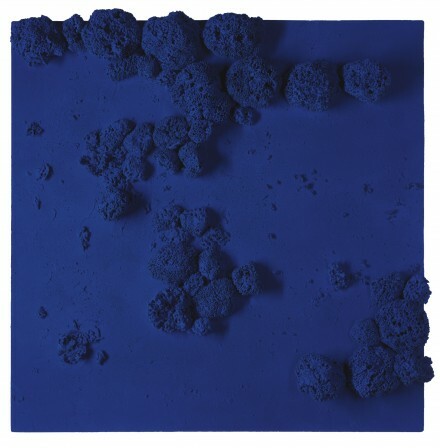 This entry was posted on Thursday, May 15th, 2014 at 12:36 pm	and is filed under Art News. You can follow any responses to this entry through the RSS 2.0 feed. You can leave a response, or trackback from your own site.